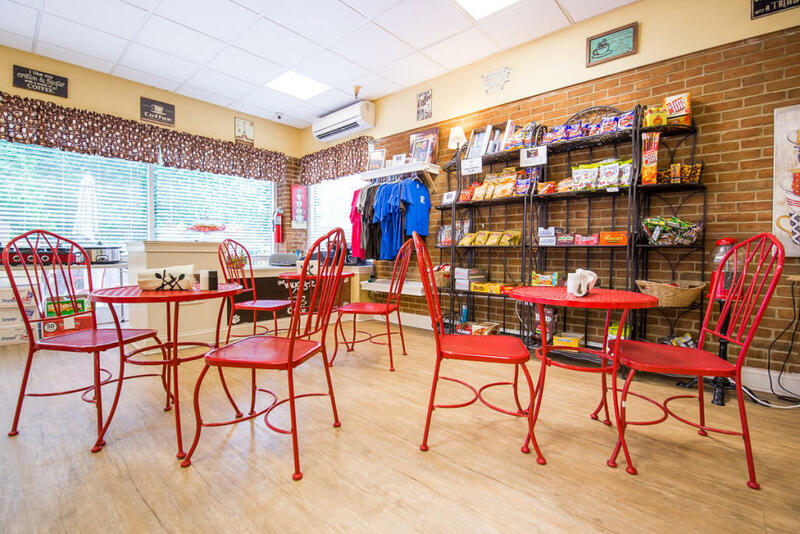 Riverview’s Mugg-Z Café, a café/coffee shop located inside our Riveriew home, has been in business for over two years now and has become a favorite lunch destination for many people in Prestonsburg. Much of the success of the café is due to the popularity of our famous Mugg-Z Burger. 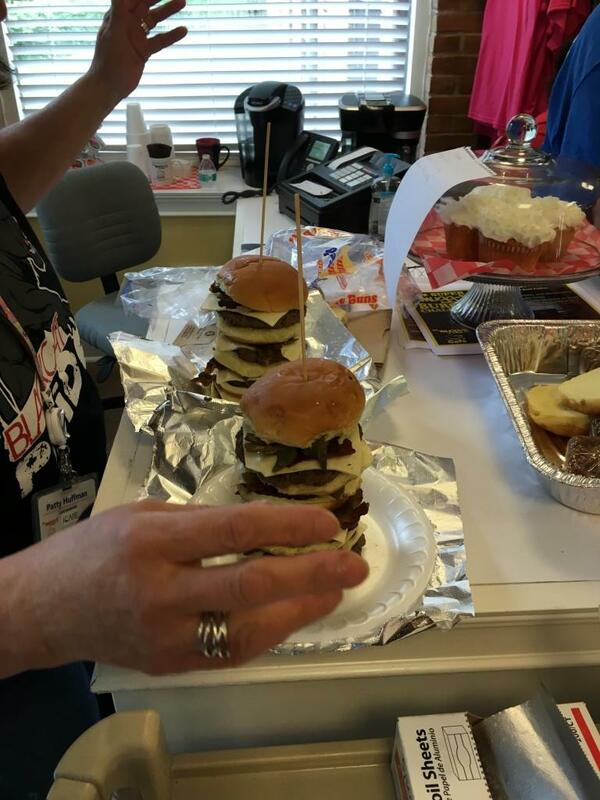 Every Friday you can come by the café for a fresh Mugg-Z Burger hot off the grill (or even have one delivered). 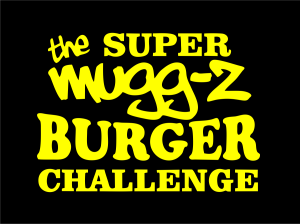 As part of a new promotion for the Mugg-Z Café, we have now introduced the Super Mugg-Z Burger Challenge. 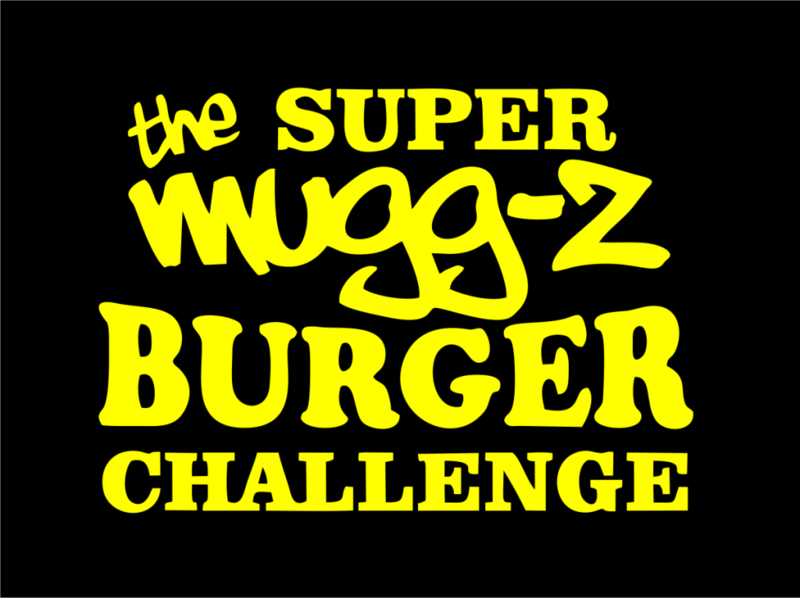 Any person brave enough to take on this challenge will have to consume a Super Mugg-Z Burger that consists of four quarter pound all beef patties, eight slices of bacon, four slices of pepper jack cheese, five slices of bread, and a pile of green peppers, onions, and mushrooms. Along with the burger, the competitor must also eat two bags of chips and drink two bottles of soda. All this must be completed in only fifteen minutes. 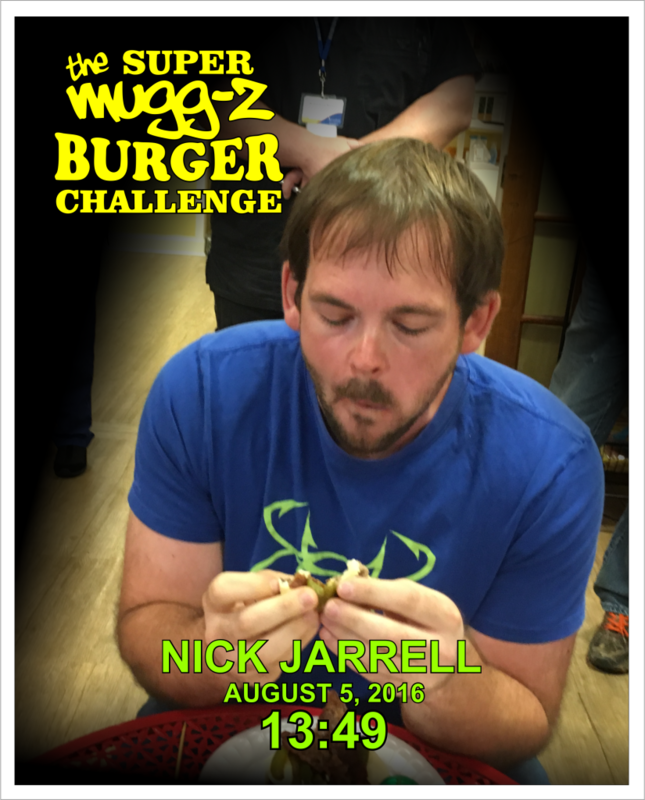 If you’re brave enough to try, you to can attempt this challenge any Friday at the Mugg-Z Café. If you’re lucky enough to succeed, you will leave with your choice of a Mug-Z t-shirt or a $15 Mugg-Z gift card. You will also have your picture displayed on the Mugg-Z Wall of Fame. And not to mention you’ll leave with a full stomach. 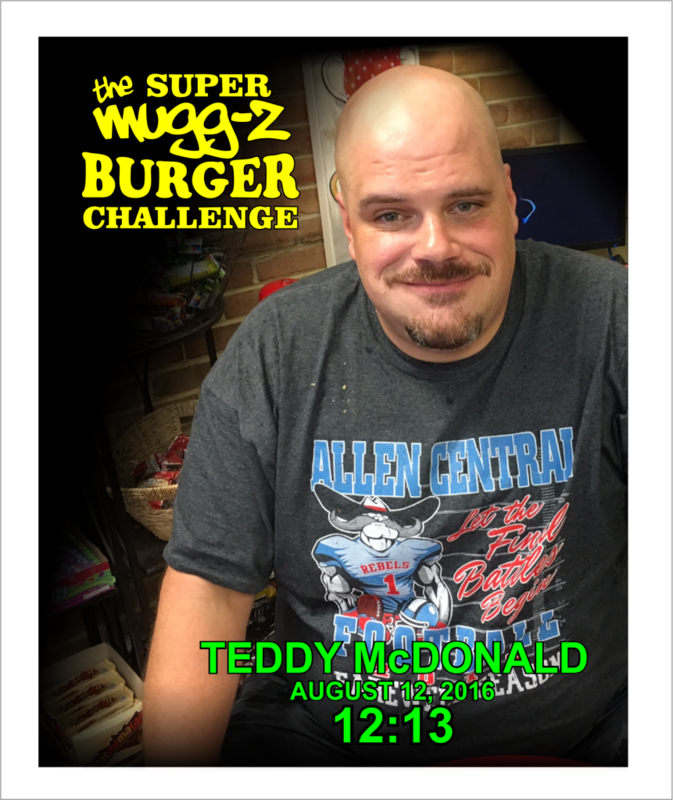 If this challenge is not for you, you can still come by for a regular Mugg-Z Burger, or any of our daily lunch specials.